Of course, if you have a tree like this on your property, you want to keep it looking its best. That’s why you might be wondering how to prune decorative trees. There is definitely both an art and a science when it comes to how to prune ornamental trees—and even a simple mistake could ruin them. To help you better understand the process, we’ll share some of our best tips. There is actually a combination of pruning methods that are best used for pruning ornamental trees. 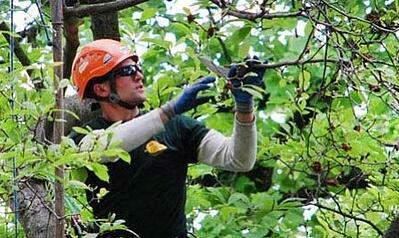 Ornamental pruning is usually focused on trying to maintain the tree’s size with some light pruning. When it comes to how to prune flowering trees, removing the current year’s old, faded flowers and fruit will promote more flower buds to grow the following season. Thinning out an ornamental will also allow more air and sunlight to penetrate through and prevent some fungi from growing. Many ornamentals are prone to twig and leaf diseases and some light thinning can make a world of difference. Of course, also cutting deadwood off of ornamentals is a great idea. Removing dead, diseased, or broken branches will help maintain the plant’s shape, vigor, and health. You should not only be worried about how to prune ornamental trees but when to prune them. There are specific considerations to take into account for specific trees. For example, if you have an ornamental tree that was planted for its flowers, then the pruning should be timed with maximizing their flowering. Pruning at the wrong time could mean missing out on bloom time. One of the biggest mistakes that we have seen made when it comes to how to prune ornamental trees is in the tools being used. 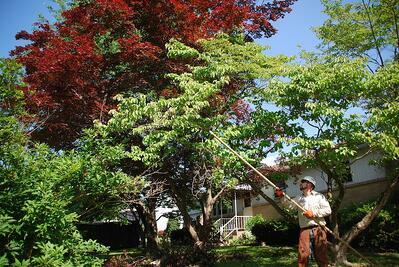 For ornamental trees, hand pruners should be used to take an inch or so off of smaller limbs. A set of loppers can be used to take off up to 2 inches and a hand saw can be used to take off up to 3 inches. However, we often see tree care companies out there with chainsaws cropping off the top of ornamental trees. Sadly, they are often making jagged cuts that are never going to heal properly and will likely lead to a major decline in health as those gaping wounds will be susceptible to infections and insect infestations. Ornamental pruning should be a much more delicate and careful process than many make it. Regardless of what type of tree you’re pruning, the general rule of thumb is not to remove more than 25% of live growth (that is, the healthy branches that are developing buds). If you remove more, you risk removing so much that you harm the tree. But on top of that, you could actually be doing your reduction work a disservice. That’s because when you reduce too much of the live growth, you actually stimulate the tree to replace leaves and grow faster. Light pruning is much more effective and natural for ornamental trees. It should generally be performed every other year. There may be a bit more involved in how to prune decorative trees than you realized. As we mentioned, even so-called pros sometimes perform pruning improperly. That’s why it’s really important to recognize that not all tree companies are created equal. For one, many tree services don’t insist on extensive training and education. 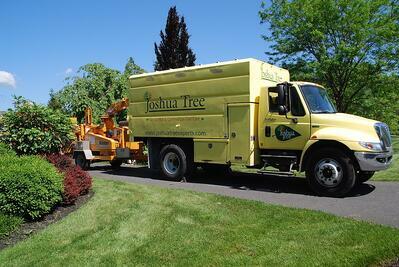 But at Joshua Tree, we believe that know-how is critical when it comes to performing a service as important as tree pruning. It’s why we have 7 ISA Certified Arborists on staff and more taking the test at the time this article was written. Whether you need ornamental tree pruning, shade tree pruning, or some other trees or shrubs on your property to be cared for, you want to be confident that you’re putting your tree’s health in good hands. The last thing that you want is to risk losing a tree because it wasn’t properly maintained. By choosing the right tree service, you can rest assured that you’re doing what’s needed to protect your investment in your tree. That means that you’ll have many more years to enjoy the beauty out of your gorgeous ornamentals. Are you ready to work with a tree service in Allentown, Bethlehem, or Easton, PA that you can feel confident will prune your ornamental trees properly? Get in touch with us to get some free expert advice and get a quote. By choosing wisely you’ll have peace of mind your trees are in good hands. 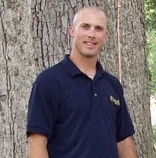 With an intense passion for arboriculture and lawn care, founder Joshua Malik brings to Joshua Tree over 20 years of experience in the tree and lawn care industry. And he expects the same passion in his team by employing representatives and field personnel who have achieved and maintained proper industry credentials to ensure clients benefit through best practices.